Mr President, the most important reason for this write-up is, to express our profound gratitude to the government for giving us the privileged opportunity to serve our great country as Council members of one of the top four first generation universities in this country. We feel privileged and greatly favoured when we consider that to select 5 members to join a Council from a population of over 170 million could not have been an easy task. Once more, our profound gratitude. Your Excellency, running a university in a manner to achieve set objectives has never been easy anywhere in the world. This is understandably more so in our environment plagued with various challenges including poor financial resources, trades union matters, poor, decayed or decaying infrastructure, inadequate power and water supply, social maladies like cultism, tribalism and unemployment. In spite of all these challenges, the External members of Council working in close harmony with Internal members and Administration have been able since inauguration in February, 2013 to score tangible, verifiable achievements. The opportunities to achieve more have been identified and Council has been working assiduously to achieve them. The achievements of our Council will come as a separate report at the appropriate time. We were however, astonished when we heard over mass media including advertorial in print media that our Council, together with that of the University of Port Harcourt have been dissolved with immediate effect on July, 1, 2016. We are not in a position to say why University of Port Harcourt Council was dissolved. We are also, unfortunately, unable to say why our Council – Obafemi Awolowo University (OAU) was also dissolved since the advertorial did not say so. We feel obliged however, that it is in the interest of our integrity given the high confidence reposed in us by government to adduce the possible reasons for this action and perhaps present our side of the story. Your Excellency, it is an act of wisdom to appreciated that they are two sides to a story. We are left with no other option than this since we were not queried or given the opportunity to defend ourselves before the punishment was meted out. Perhaps as free citizens saddled with such high social responsibility, we deserved more. The second part of this communication is an attempt to explain our own side of events. Our objective is not to challenge government action but to leave a written permanent record of events that probably led to the dissolution of OAU Council. The immediate cause of the dissolution of the OAU Governing Council (OAUGC) must be the appointment of the 11th Vice-Chancellor(VC) of OAU. The term of the incumbent was to end on 23, June, 2016. Your Excellency, the appointment of VCs in any Federal University ought not to be “rocket science” because the Federal Ministry of Education(FME) has produced in conjunction with the National Universities Commission(NUC) a complete, detailed directory on how it should be done! Called “APPOINTMENT OF VICE-CHANCELLORS, RECTORS AND PROVOSTS”……..”WE CAN”. Dec15-17, 2015: Advertisement of vacancy with clearly spelt out criteria/template for the candidate that befits the status, age and international standing of OAU. This will ensure a transparent, verifiable, just and fair process. * While the template recommended 2 national dailies, we advertised in6 national dailies. March, 7 2016. Search team concludes its activities. * Over 10 universities visited and over 90 Professors head-hunted. No external applicant in spite of search! March, 8, 2016. Council to consider and short-list applications already submitted by interested candidates. Advert used as template for the short-listing process. Before opening the boxes containing applications, Council debated the criteria and decided on the weighting of each of the criteria. *Curriculum vitae and submission of referees were used for the short listing. Before the scoring began, the cut-off point for short-listing was also agreed upon! * At the end of the short-listing exercise, 6 candidates were short-listed – IN ALPHABETAICAL ORDER AND WITHOUT SCORES IN THE RECOMMENDATION TO THE SELECTION BOARD! March, 18, 2016. Invitation to short-listed candidates to attend Interaction/Interview with Joint Council and Senate Selection Board. Your Excellency, that the External members are alive to tell this story owes everything to the concern and bravery of the Ooni of Ife. THAT THE SECURITY SERVICES ABANDONED US TO THE WHIMS AND CAPRICES OF AN IRATE, WILD AND VIOLENT WORKERS CANNOT BE ACCEPTABLE. The Council then took the decision on advice to hold future meetings of the Selection board in Abuja. The Administration informed Council that there is a purported injunction and that same was purportedly served on the University restraining Council from continuing with the exercise. To this, I am glad to report that the University has not been served with any injunction until date. The need to prevent a vacuum in Ife following the expiration of the term of the incumbent VC on 23/6/16. After 2 months, there is no documentation to show that there is any court injunction preventing Council from carrying on its legitimate functions. The Department of Tertiary Education had written dated 18/5/16 with ref FME/HE/CU/3A/T/128; wrote and advised the Council to continue. The Senior Advocate of Nigeria(SAN) who is member of Council was of the opinion that legally we had no legal encumbrance restraining Council from its normal activities although the matter could be classified as “Les Pendens”! Based on above considerations, Council directed the Joint Selection Board to go on and conduct the interaction with short-listed candidates. Following adequate evidence that all short-listed candidates were duly informed, the interaction was held at the Committee of Vice- Chancellors(CVC) building at 10 am. Three (3) short-listed candidates showed up for the interaction and were duly accredited. Two candidates withdrew from the interview; one for personal health reasons and the other candidate withdrew in protest for the change of interview venue from Ife. The interview followed the template of the FME/NUC guide. The Federal Character Commission and the FME representative were in attendance as observers. Modus Operandi: This followed the guideline strictly in a transparent verifiable and fair manner. Each candidate had an IT exercise (same for all) for 5minutes, then made an oral presentation for a minimum of 30 minutes to sell his vision, mission and objectives. Scoring was individual. Candidates then had a final 10-20 minutes interaction. Final scores was by fining the mean of all scores. Following conclusion of the interview/interaction of the Joint Council Senate Selection Board, the result of the exercise was presented to the full Council. Council accepted the report which was then adopted for discussion The full Council after consideration of the report, approved that Professor Ayobami Taofeek Salami as the 11th Vice Chancellor of Obafemi Awolowo University having performed best at the interaction/interview. At this Juncture, it is pertinent to draw your attention to the obvious fact that Prof. Ayobami Taofeek Salami after his selection, confirmation by Council, clearance by the Federal Character Commission and subsequent appointment has taken over as the 11th Vice Chancellor of the Obafemi Awolowo University and has been serving in that capacity without any impediments whatsoever since the 24th day of June, 2016. While performing our legitimate functions as the Governing Council of OAU, we were held hostage by violent NASU and SSANU members. These are people whose “industrial actions are really feared because of their violence which include a prominent use of juju”…Prof Roger Makanjuola (former VC, OAU. Is somebody saying that having faced this ordeal as hostages, and having been abandoned by the Security services, we deserve to be dissolved as a reward? Our witness is His Royal Majesty, the Ooni of Ife who deserves a special national honours for saving our lives. Up to this point of writing, the Council has not sighted a Court order of any form not to talk of an injunction. The Council is therefore not in contempt of any court process. Even if the Council is in contempt, does the court need any external agency to hold its brief? As a Council, we have never been able to understand the real meaning of “University Autonomy”. We find it hard to understand how running the affairs of the University within its Statutes and laws calls for sanctions. Even so, does the Council not deserve a right of fair hearing? How do others learn to perform better? It is unbelievable that strike action by NASU and SSANU is being used to determine who becomes VC. In pidgin English they ask “wetin concern fowl with who chop kola?” It would seem that these are paid mercenaries! What remains frightening to this moment is why the Security services have tolerated the continued disobedience of the law with impunity. They have occupied the Administrative building since April. Although the police asked that we evacuate students, and the University was promptly closed, the Police are still to take action! 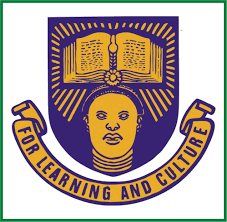 It is however to our chagrin, that until this moment neither SSANU, NASU nor any other union whatsoever within the University, has written a petition to the Council or the joint Committee expressing their grievances with the process of the selection of the 11th Vice Chancellor of the Obafemi Awolowo University (OAU). 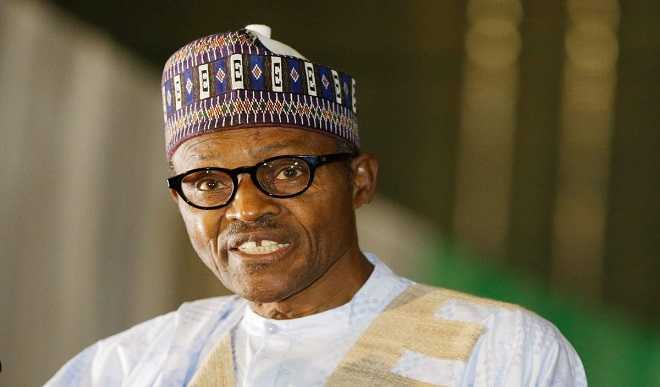 In an article titled “Stigmatizing President Buhari”, Prof Olusola Adeyeye puts it aptly: “The toxicity of half-truths rarely emanates from the profligacy of falsehood but rather from the subtle distortion of truth! Blatant falsehood is intuitively obvious and as such easy to reject. By contrast, when truth is softly bent, it takes great discernment to perceive its toxicity”! The Governing Council of OAU stands by its honour and integrity and is willing to appear before anybody to defend itself! In the interest of our country we will act the same way without consideration for whose horse is gored. If this is aimed at securing power through the backdoor for any person, it is most unfortunate at this time of the CHANGE!!! !